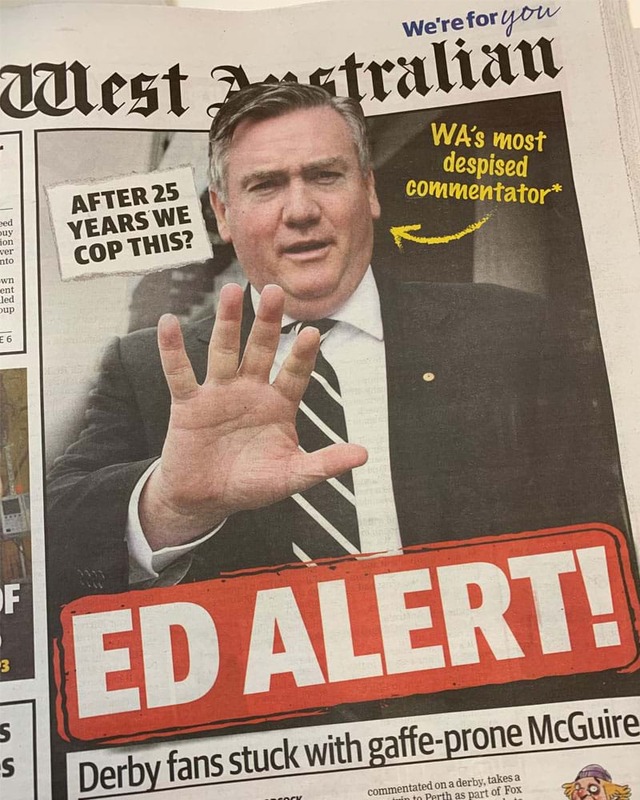 Eddie McGuire has joined The Big Breakfast to defend himself in the wake of front page of today's West Australian, which isn't very flattering, to say the least. The chat in full reveals a bit more about how Eddie has a long and proud history with the WA clubs, West Coast in particular. The derby happens Saturday night, broadcast right here on mix94.5 with the one and only Dennis Cometti at the helm.